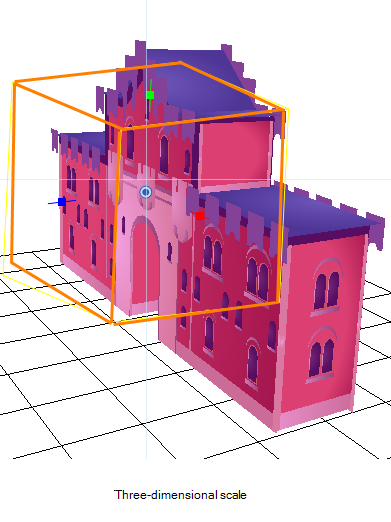 When using 3D, the Z-axis parameter appears in the list of settings. You can have the Scale locked or separated. 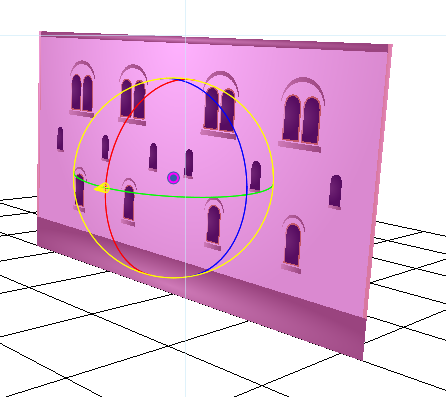 When the Scale is locked, the object you are scaling is uniformly resized in three directions. When the Scale is separated, the object you are scaling can be squashed and stretched in any direction without affecting the other ones. You cannot add thickness to an object by scaling it in the third dimension. Three-dimensional scaling is used to scale objects that were rotated on their axes or to scale a group of objects laid out in three-dimensions. The main parameter you will use when working in three-dimensions is rotation. 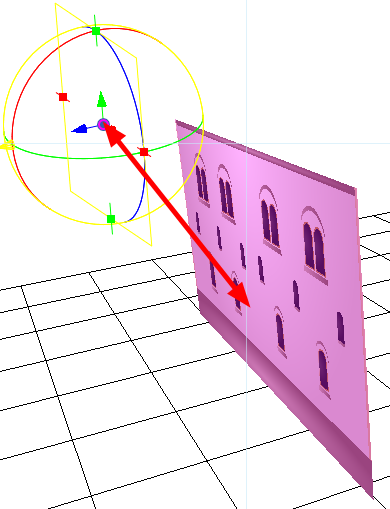 Without using the 3D rotation, you are simply working using the multiplane technique. Quaternion Rotation is very similar to the 3D path position parameters. A Quaternion is composed of three rotation functions: X, Y and Z to control the rotation on three axes, and a velocity function to control the velocity of the three rotation functions simultaneously. The X, Y and Z functions are linked together, when you add a keyframe on one of them, it also adds it on the two others. If you are planning to animate an element such as the camera, you should use the Quaternion rather than the Euler Angles. Quaternion creates smooth trajectory and interpolation since the path is controlled by the same keyframes and a single velocity. 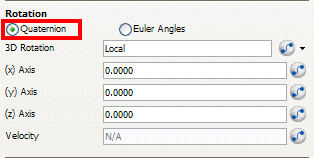 The Euler Angles Rotation is very similar to the Separate position parameters. The Euler Angles parameter is composed of three functions: X, Y and Z to control the rotation on three axes. These three functions are independent from one another, each having its own velocity. When you add a keyframe on one function, the other ones do not receive it, allowing you to control each axis independently. Euler Angles are mainly used to position elements with exact coordinates and rotating elements on a single axis. The interpolation between the keyframes will not be as smooth as the Quaternion one since each function works individually. 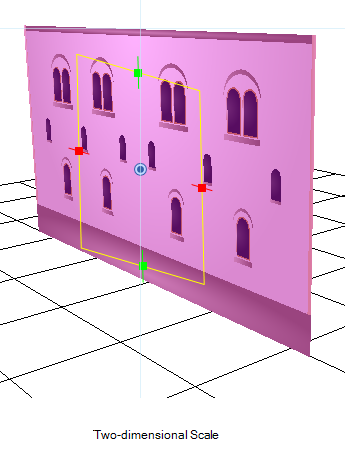 When working in 3D, the drawing or layer pivot becomes a location that can move on three axes. When you work in two-dimensions, the pivot is mainly an anchor point somewhere in the drawing from where the transformations will be performed. In 3D, the transformations are made on three axes, so the centre of rotation and scaling also becomes three-dimensional. By default, the pivot is positioned at the centre of the stage: (0,0,0). When you use the Pivot tool to reposition the centre of transformation, the pivot position is changed on the X and Y axes, but the Z-axis remains at zero until you change it in the Top, Side or Perspective view using the transformation tools.